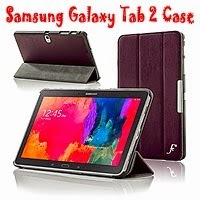 Forefront Cases smart cover is designed specifically to fit and protect the Samsung Galaxy Tab PRO 10.1. The case's inbuilt auto sleep / wake function will put your tablet to standby or wake it up by simply opening or closing it. With precision cut outs all the cameras, microphones, buttons, connections and speakers remain fully accessible. No reason to remove your Samsung Galaxy Tab PRO 10.1 for any function such as video calling, FaceTime, watching videos or listening to music. Its unique folding design allows for vertical, horizontal and typing positionand suitable for watching videos, listening to music, web browsing, typing and much more. Richard III of England was a hunch-backed, crippled, nephew-murdering, wife-poisoning (and other bad things) villain. We've read or seen the movie, the one where the king yells, "A horse, a horse, my kingdom for a horse." And Shakespeare would never lie, right? Wrong. Shakespeare was writing for the granddaughter of the man who killed Richard and took the throne away from him. He had no right to the throne and knew it. Therefore, all sorts of propaganda had to be spread to paint Richard as black as possible so that Henry VII (father to the infamous VIII and grandfather to the Famous Elizabeth I) could be seem as a legitimate king and keep his reign from blowing up in civil wars. There are few to no contemporary writers of Richard's time to tell us what he was really like. A letter here, a diary entry there. So most of the writers fell under the Tudor reign and weren't about to embarrass the boss by saying positive things about his predecessor. 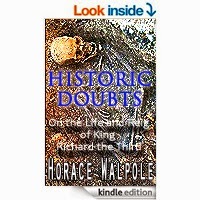 One of the first was Horace Walpole who thought all the literature that had been written up about Richard to that point was simply propaganda that had been repeated from writer to writer. So he set out to create another image of Richard. As Walpole mentions, no man is perfect and rulers are less perfect than most since they are in a critical position concerning their country and their people. So Richard made mistakes, but he wasn't a villain.